To enhance the personal, cultural and professional development of Indigenous communities of the Sierra Nevada de Santa Marta. Starting in 2018, communities applying will need to develop a second conservation activity along with the OMT. Members of TGB are eager to help with suggestions about this activity. To form indigenous professionals to serve and represent their culture with pride and authenticity. To promote equal educational opportunities for male and female students from pre-k to higher education. 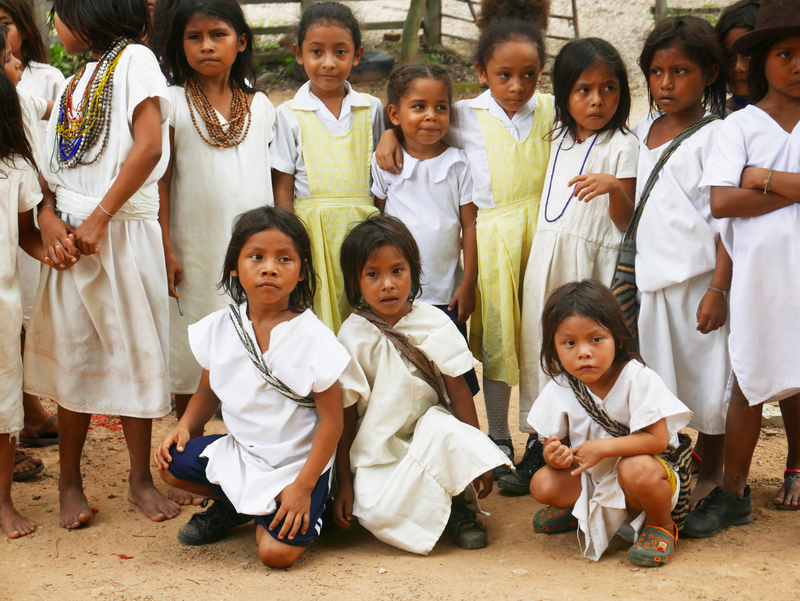 An important aspect of the indigenous groups all across the planet is that they have developed a strong connection, respect, and concern for the environment in which they live. In the case of the four tribes of the SNSM, the descendants of the Tayrona culture, their traditions encompass sophisticated arrays of information, understanding, and interpretation that without doubt, will provide valuable guidance to all humanity around the globe for social transformation, leadership, healthy intercultural relationships, and personal and spiritual development. The Tayrona peoples also excel in wisdom about how to use and protect their natural resources: in agriculture, animal husbandry; hunting, fishing and respect toward wildlife; struggles against disease and injury; interpretation of natural phenomena; and strategies to cope with fluctuating environments. This traditional knowledge and wisdom passed from one generation to the next, usually by word of mouth, pagamentos (spiritual offerings), and cultural rituals form the basis for food production and preparation, health care, education, conservation and other cultural activities. The international organization The Great Balance, the Mamos (Tayrona shamans) and education authorities of the Sierra Nevada de Santa Marta are aware of how Western formal education systems have disrupted the practical everyday life aspects of indigenous knowledge, their ways of learning about nature, life, social relations and the interdependence of all life. Formal education is replacing all these important concepts and realistic perceptions of nature with abstract knowledge and academic modes of learning. 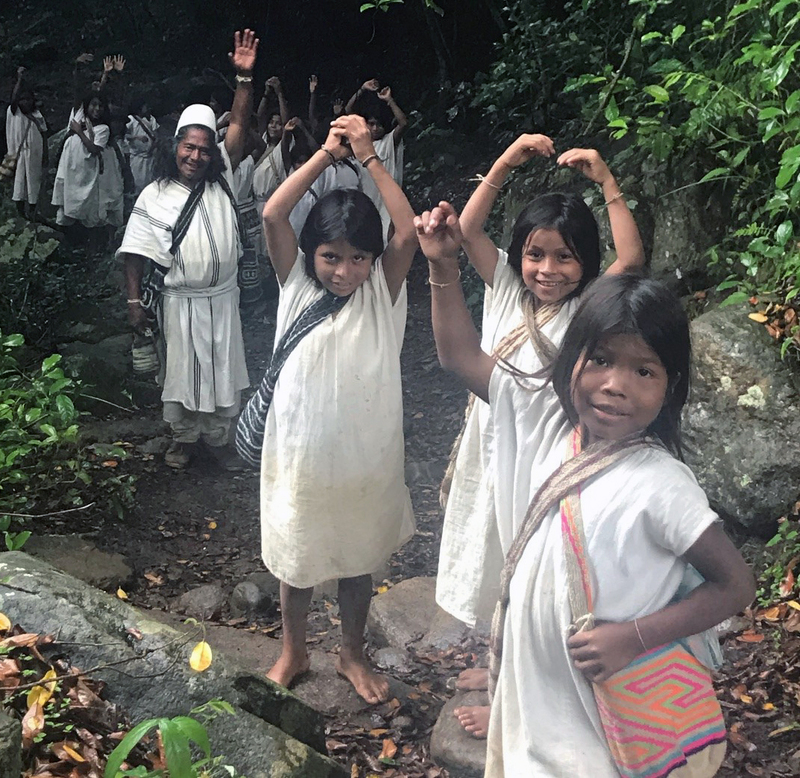 Every day, a larger number of youngsters from the Arhuaco culture are leaving their indigenous communities to attend Western education with the grave risk of losing much indigenous knowledge and, along with it, valuable knowledge about traditional sustainability. In the face of globalization and the inescapable fact that technology and western culture have managed to arrive in the SNSM, there is no alternative but to face the problem of finding strategies to retain these young people in the community. One of these strategies is to create more traditional schools, within the Sierra where indigenous knowledge and wisdom may be integrated and thereby, bring the benefits of helping to ‘sustain’ indigenous knowledge and societies as a whole. It is also important to encourage teachers and students to gain enhanced respect for their culture, their wisdom, and ethics, providing ways of teaching and learning locally relevant knowledge and concepts as well as on skills development. These youngsters will be ones who will populate the planned “School of Knowledge” in Riohacha, department of La Guajira, Colombia.